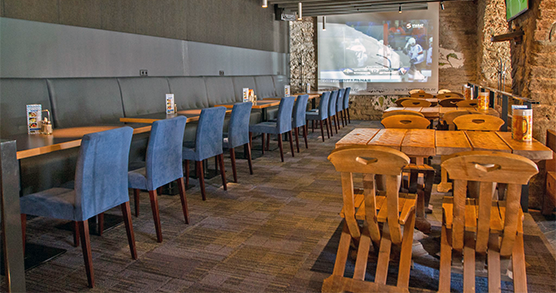 Restaurant and a sports bar called Beer Garden is a special place with a friendly atpmosphere. We are waiting for you to visit us. Beer Garden is a cosy restaurant located in the heart of Old Town, Tallinn. We have a spacious room that holds 166 people and tables for big groups as well as separated smaller tables for business or romantic meetings. In the summer, we also have a terrace for customers where you can relax in the sunshine. Beer Garden is a special place with a truly friendly atmosphere. Come visit us and we will offer you the best service and a reason to return.